As the saga over the EU’s controversial Article 13 continues, new fronts of agreement and countering disapproval are appearing all the time. As reported last week, a deal agreed between Germany and France emerged as a potential way forward for the legislation. The skeleton of the agreement requires Internet platforms to license content from copyright holders. If that is not possible, they should ensure that infringing content is taken down and not re-uploaded to their services. Previously, the size and nature of the platforms to be affected remained unclear, but the deal laid down clarified that platforms over three years old with more than five million visitors, with a turnover of more than 10 million euros would be subject to the legislation. Those under these thresholds would be excluded but still required to obtain content licenses. Re-upload prevention would not be required, however. On Friday and despite opposition from Italy, Poland, the Netherlands, Sweden, Finland, Luxembourg, Malta and Slovakia, the governments of the EU agreed that they will move forward on the basis of this France – Germany deal. Pirate MEP Julia Reda described the deal as “the worst version of Article 13 yet”, sentiments that appear to be broadly shared by the very people who have pushed hardest for the legislation – major music labels, broadcasters, and other content owners. Also on Friday, IFPI and several other major organizations called for Article 13 to be scrapped entirely, an indication that almost no-one wants what Article 13 has become – despite the EU now pushing ahead. That being said, another new front appears to have opened in what is becoming an increasingly confused confrontation. All along, labels, content owners, broadcasters and distributors have claimed that Article 13 is desperately needed to protect artists and other creative talent from piracy of their content. One might presume, therefore, that artists would be singing along with them in objection of Article 13, but that is simply not the case. In an open letter, the UK Council of Music Makers – comprising the British Academy of Songwriters , Composers & Authors (BASCA), Featured Artists Coalition (FAC), Music Managers Forum (MMF), Music Producers Guild (MPG) and the Musicians’ Union (MU) – are now calling on the EU to go ahead with Article 13, against the wishes of the labels. “We are the voice of UK songwriters, music producers, performing artists, musicians and music managers. We speak on behalf of thousands of makers of the music this ‘industry’ represents. We speak with one voice with all the creator-led organisations across Europe and around the world in supporting the Copyright Directive,” their letter begins. That their partners at the labels and publishers don’t want it now is clearly baffling to them and they air their displeasure in no uncertain terms. In fact, the open-letter tearing into the labels is scathingly unprecedented. “It is hugely disappointing to see the music labels and publishers disregard the interests of their creators and artists in this way. 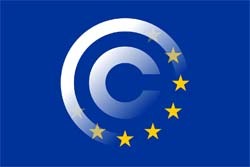 They are trying to overturn years of collaborative work at the 11th hour by killing the Copyright Directive. Like YouTube, they have lobbied negotiators hard without consulting or informing the creative community. Heavy-handed tactics of heavyweight businesses,” they write. “The labels and publishers have shown an unsettling disrespect for the talent that they have the privilege of representing, raising serious questions about their suitability to be the custodians of copyright. “We have worked in tandem with UK Music and colleagues across the industry to find compromise and solutions that enable legislation to pass. This Directive will affect future generations of creators and performers whose interests need protecting beyond the interests of current models,” they add. That the music industry now appears to be at war with itself over Article 13 is just another twist in what has become an extremely unorthodox process. Nevertheless, matters will press ahead. “The deal in Council paves the way for a final round of negotiations with the Parliament over the course of [this] week, before the entire European Parliament and the Council vote on the final agreement,” says Julia Reda MEP as she calls on everyone to reject Article 13. As unlikely at it seems (and even just for a moment), a pirate is in loose agreement with the record labels over Article 13, with artists in disagreement with all. Strange times indeed. BitTorrent Token Sold Out Quickly, But Who’s Buying?